The almost 250 million people who play Fortnite every day are being challenged by WWF, the world’s leading independent conservation organisation, to survive the game – but with a twist. Devised for WWF France by We Are Social Paris, the #NoBuildChallenge rule is simple: players must proceed through the game without exploiting any of the usual natural resources which allow them to survive and increase their skills – this means no wood, no stone and no metal. WWF hopes that by joining the #NoBuildChallenge, participants will understand the simple fact that staying alive is difficult without the planet’s natural resources. These players will be encouraged to share this message with their Fortnite networks all over the world. We Are Social came up with the concept of the game and created the #NoBuildChallenge hashtag and logo. 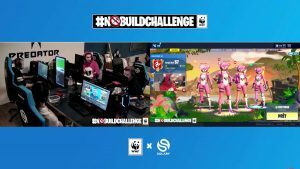 The #NoBuildChallenge campaign was officially launched on Friday 5 April by Solary, the French pro-gamers team, with a live stream on their Twitch channel, where they have 730,00+ followers. Solary includes star gamers such as Kinstaar, Hunter, Nikof and Yoshi. The first #NoBuildChallenge live session drew 7,000 gamers in two hours. 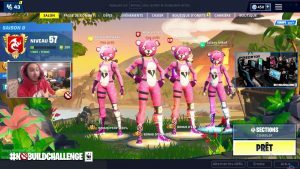 Fortnite has become a space for exchange and creativity and its community of YouTube and Twitch gamers and streamers are also invited to join in and rise to the challenge. Among those to have already done so is French Youtuber Michou, with 2m+ followers, who met the challenge and ended up top 1 on Sunday April 7. The launch of #NoBuildChallenge was the number 1 Gaming Trending Topic on Youtube this weekend. Live games and recorded content will be broadcast to spark a conversation throughout the campaign, which runs until Earth Day on Monday April 22. The campaign’s launch comes as students in more than one hundred countries, from Sweden to South Africa, close their books and take to the streets to demand an urgent response to climate change.